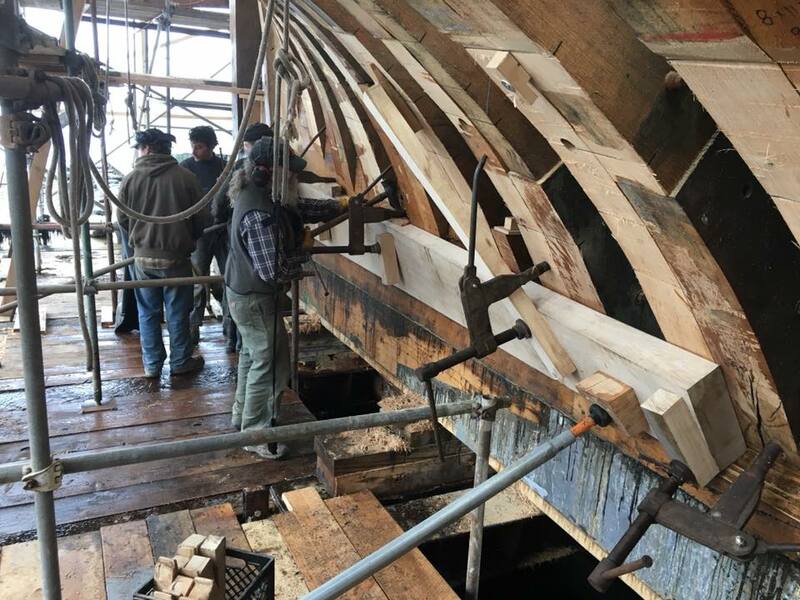 The first new plank is in place on Ernestina-Morrissey’s frame. 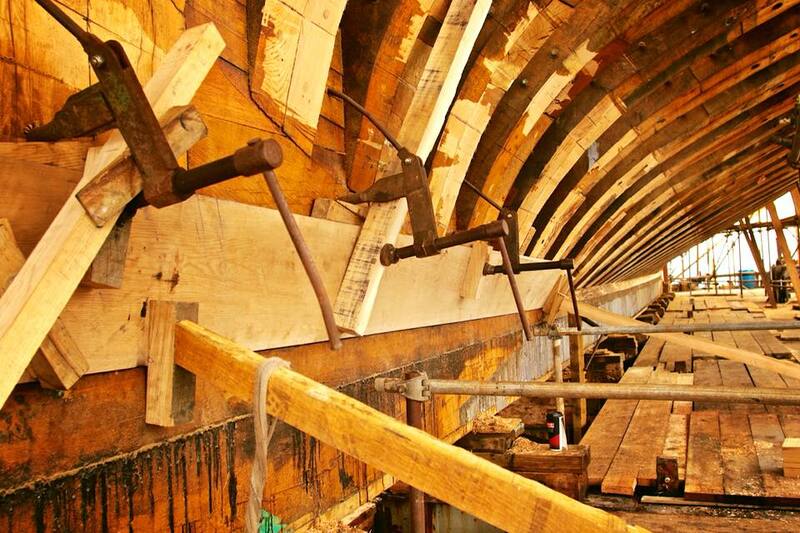 The planks closest to the keel make up the garboard strake. 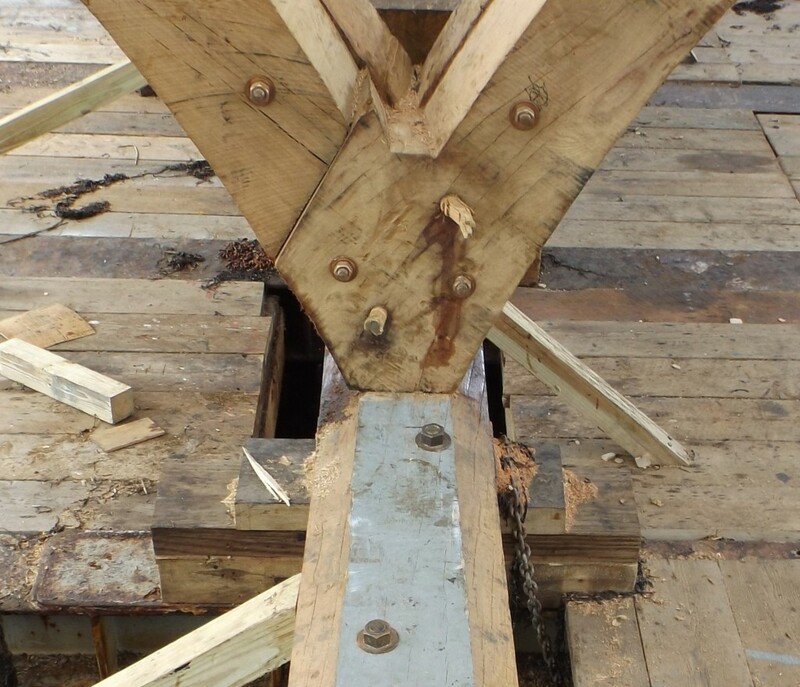 When the the keel was put in place the top was beveled, as you can see below, to receive the garboard. The garboard strake will be 5 inches thick at the mid-ship frames and tapered to 3 inches thick toward the stern post. The first broad strake (the next planks above the garboard strake) will be tapered until the planks are all 3 inches thick and the rest of the planking will be 3 inches thick. The Danish oak. purchased in 2015 is being used for the planks. This photo from 2016 shows is the first frame that rests directly on the keel. The cant frames are aft of it rising along the stern structure. You can see the bevel in the keel.